This is an unmatched example of bias by omission which may leave a major part of the Scots electorate ignorant of a key, defining development, on the path to Brexit. As Wings points out, this is an attempt to deny that part of the UK which most strongly voted to stay in the EU, a special deal which they are nevertheless prepared to offer to a part which only narrowly voted to remain because that part, Northern Ireland, is on the same island as an EU member, Ireland, which has the power to veto the deal otherwise. Though I argue that much day-to-day media bias results from unconscious loyalty to British institutions, this, in the public domain across social media and unavoidably known to the editors and writers at the BBC, STV, Scotsman and Herald, is being neglected deliberately either out of fear or because of conscious ideological alignment with the Unionist cause. Previous Article Reporting Scotland miss chance to celebrate Scotland’s poverty but expose our useless health boards again! Next Article Talking-up Scotland beaten by a wee dug! If any of us have a morsel of regret about the long demise of the Scottish press, then this journalistic omission should be enough to harden our hearts. A real story—doesn’t really matter which side of the constitutional debate journalists were on ( and they shouldn’t be on any)—this was a headline story which deserved to be aired, questions asked and conclusions reached. And they missed it…………………………… Neues Deutschland anyone? The newspaper of the East German State and Socialist Party. The main propaganda outlet and supporter of the Communist regime. It showed the subjugated populous the “correct” way to think. Kind of what the Scotsman would like to do for us. But hey, Combat German is all we need at times. As I enter my second childhood, I may soon revert to its idioms. Not entirely true John. NI’s protection against Brexit lies in the belfast /good Friday Agreement. 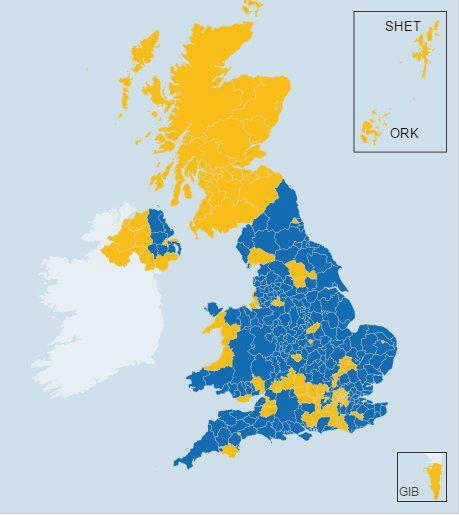 Which was ratified by referendums north and south of the Border. Which was the outcome of 30 years civil strife in NI against British rule . Remember: it was set up to provide protection for the 50% of the population that want out of UK governance. True Ben. I should have included this information for a more accurate comment. I was in a rush to make the point about Scotland! I’m biased that way. Hopefully readers will see your addition. No, John, you’re not biased – you have an openly stated set of views. True bias is what the Nomedian Naztards exhibit daily.